June was an interesting month, to say the least. I was hoping for a stellar month full of great runs, long rides, and more strength training. But that was exactly what didn't happen. June really reminded me that I'm not in control. The month started off on a high note. 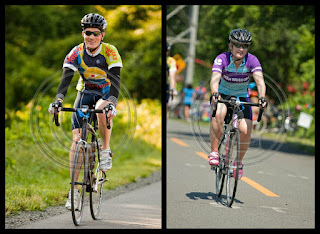 Andrew and I rode in the National Capital Tour de Cure in Reston, VA. It was 55 miles of awesomeness! Two days later, I had a seizure at work. I'd never had a seizure before, so this was very unexpected. We're still not really sure what caused it, but I'm on medication now and feeling fine. The MRI didn't show anything and my EEG isn't until August. I can't drive until December (state law)...as you can probably imagine this has been a big adjustment. I'm also not supposed to go for a run by myself and I was told to wait a little while to go for a bike ride (falling unconsciously off of a bike = ouch). I'm really trying to have a good attitude about all of this, but I do have moments of frustration. Benefits of Andrew following me on his bike? I can say things like "Hey, take a picture of me! Hold my phone! And give me some of your water!" Yeah...he's awesome. So while I've been able to stay fairly active thanks to my amazing husband, I've definitely been way less active than normal this month. At least I have a decent excuse, right? Walking Miles in June: 12 - sometimes walking after dinner was my definition of physical activity for the day...better than nothing, right? This is just one of those things that you have to just say "oh well" about and move on. Like I said at the beginning of this post, I'm not in control! In other news, WE ARE MOVING next week! Although we've loved our townhouse for the past 4 years, we're so happy to be moving to a "real" house. We're also very excited about the location, particularly about being about to walk out the front door and go for a great run or ride (as opposed to getting in the car and driving to all of the good spots). Packing and moving and unpacking and getting settled is going to be time consuming and exhausting, but it will be worth it! So with that said...I'd better get packin'! We are on a quest to deliver more mezamashii - more ecstatic, electric, wind-in-your heart running. So instead of spending millions of dollars on advertising to talk about our shoes, we're putting our money where your feet are and putting our shoes on runners' feet. I love what they say in this video about how it takes many miles to really "understand" your running shoes (and know if they are going to work for you). You can't walk into a running store and try on a pair of shoes and just know that they'll be right for you. You have to put a good 50+ miles on them and take them on 10+ mile runs before you decide whether or not they are the ones. So anyways, if you're interested in maybe trying some Mizuno's, check out the Mezamashii Run Project and request an invite. I think I my have found the skirt. The one that's not to short, not too long, but just right. The one where the built-in shorts legitimately stay down. The one that doesn't ride up to my armpits. My friends, I introduce you to the Brooks Mesh PR Skort II. I LOVE this skirt! The color is fantastic. The shorties have a "sticky" (for lack of a better word to describe it) rubber gripper around the bottom so the legs actually stay put without being uncomfortably tight. The waist is a little looser than what I was used to, but I know that the skirt isn't going to fall down or anything with the way that the shorts are. This tricked me into thinking I needed a smaller size - I initially bought the medium, thought it was too big, ordered the small (which was a little too tight) and ultimately I was happy with the medium. The shorts also have a little pocket in them and the skirt has a small zippered pocket in the back that would be a great place to put your key or a gel. You can find this skirt on Running Warehouse HERE for $38.95 (current price at the time of this blog post) + free 2 day shipping. I'm frustrated with having to deal with this seizure stuff. I'm over not being able to drive, not being able to ride my bike, and not being able to do ANYTHING by myself. I am an independent, introverted, and stubborn person. And I don't think it's fair. I'm healthy. I eat well and I stay hydrated. I don't drink and I don't do drugs. I exercise regularly and I get enough sleep. I don't go around banging my head on the wall. Why do I have seizures? This is me laying on the ground crying and kicking like a baby. On the contrary, I'm thankful. I'm thankful for my husband who willingly drives me everywhere and will accompany me on my runs. He listens to me freak out about all of this and whine and complain (see above). I'm thankful that the CT and MRI didn't show that I have a ginormous brain tumor or anything. I'm thankful for modern medicine and that taking a pill should control all of this. I'm thankful for supportive, caring, and concerned family members and friends. I know that I'm loved. I'm thankful that I serve a God who has a plan to prosper me and not to harm me. And I'm thankful for this flower that bloomed in my yard yesterday. The weekend before all of this seizure mess went down, I participated in my first ever cycling event, the National Capital Tour de Cure in Reston, VA. There were several distance options to make this a great event for cyclists of all fitness levels. Andrew and I opted for the half century (50 mile) distance. Not only would this be my first cycling event, but it would be my longest ride to date. I felt pretty confident going into the ride, despite the fact that our training wasn't very intense; our longest training ride was 40 miles the weekend before. The only thing I was nervous about was forgetting or not being able to clip out and put my foot down when I had to stop, thus resulting in an embarrassing fall. Apparently everyone falls like this eventually, and since I haven't yet had the pleasure (despite some close calls), I know my time is coming. The ride started and ended in the ridiculously crowded lively Reston Town Center. There was a rolling/wave start; riders were assigned a window of time (ours was from 7-8 am) based on their distance and they could start anytime they wanted during that time. This made the start very relaxing and less crowded so I didn't have to worry about crashing into another cyclist. This also helped to spread riders out along the course, and therefore the rest stops weren't very crowded either. Us at the beginning of the ride...lookin' good! The weather could not have been more perfect. Before the ride started I was a little worried that I would be too cold and I was wishing that I had brought more clothes. We both wore our arm warmers but we shed them at the first rest stop. The temps heated up but I never got too hot on the bike (natural breeze!). Earlier in the week they were calling for rain, but it ended up being perfectly sunny. The beginning of the course was on what would have usually been a busier road, but since we were out early it wasn't too bad. The course then entered into a residential area, and finally onto the W&OD trail, where we stayed for the majority of the ride until we got to Purcellville. From there we turned around and headed back to Reston on the W&OD trail. 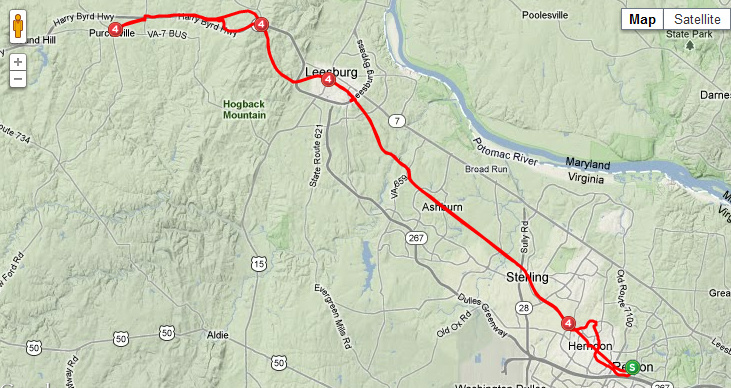 I loved riding on the W&OD trail. It was very similar to our greenways, so there was virtually no traffic with the exception of when the trail intersected with roads. This made me way less nervous and it was definitely a great course with this being my first cycling event. The entire W&OD trail is 45 miles long and goes from Arlington County to Purcellville, passing through areas of Falls Church, Leesburg, Herndon, and Reston. It was wooded in a lot of areas with numerous scenic views along the way. The course was very well supported with two rest stops along the way and one at the end (5 total). We stopped at each one to either go to the bathroom, refill our water bottles, or eat something. 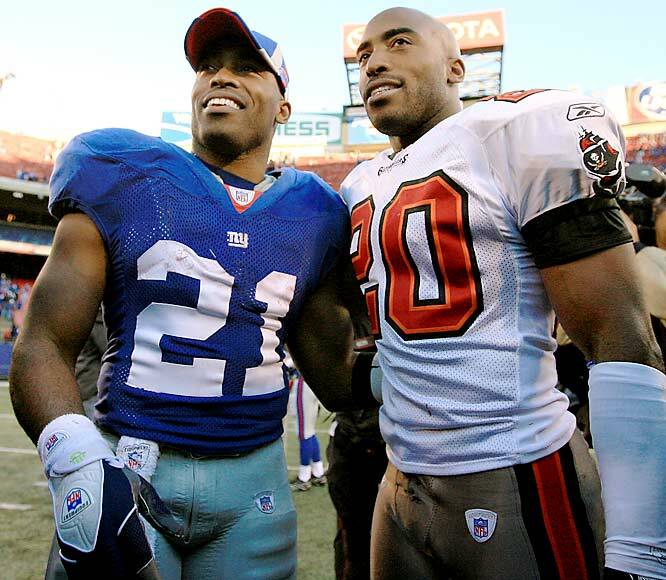 They had a great combination of real food, GU, and shot blocks, and they also had water, Nuun, and Gatorade. They also had bike repair stations at each stop in case anything went wrong with your bike. We both did a great job of staying fueled and hydrated, and we both managed not to bonk. Near the halfway point we both felt a little tired, but this was likely due to the slight uphill (we didn't realize we had been going uphill until we were flying on the way back). We took turns riding in the front and we changed positions every 5 miles. For all of the non-cyclists reading this, riding directly behind someone (known as drafting), can mean an energy savings of 10 to 30 percent. It really makes a big difference. This strategy worked out perfectly for us and helped us not to get so tired. 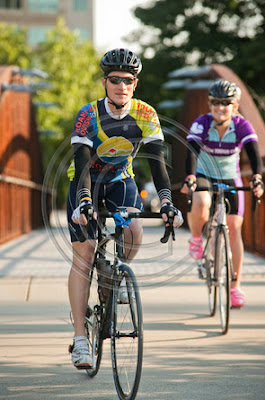 I didn't really have any problems going 55 miles, but I will say that I wouldn't have wanted to go much farther. There weren't really any major hiccups, so I would definitely call this a successful first cycling event!! After the ride we stuffed our faces with some delicious BBQ sandwiches and we hit the road to come home. I really wasn't too sore after the ride, just tired. I'm definitely looking forward to getting back on the bike (and riding outside, not just on the trainer), and doing another organized ride in the future. Then I got back on my bike. In case you missed my last post, I experienced my first ever seizure (or what we all think was a seizure) last Tuesday. One second I was sitting in a training class at work and the next second I woke up in an ambulance. Scary, for sure. The CT, blood tests, and urine tests at the hospital didn't really tell us anything, so I was hoping for some answers at my neurology appointment on Friday. The nurse practitioner I met with was great. She was very thorough and I definitely felt like I was in good hands. She confirmed what I had found out from Dr. Google (just Google "deja vu" and "epilepsy" and you'll see what I'm talking about); that my previous episodes of "deja vu" could have been partial seizures. She described my deja vu episodes as the lights in the house (i.e. my brain) flickering. Usually the lights in the house will stay on, but this time they all went out and I had a seizure. A combination of any number of things could have triggered the seizure...exhaustion (I did ride my bike 55 miles on the Sunday before, but I was trained for it), hormonal changes (that time of the month), or even the ginseng in my multivitamin (generic brand of Centrum Performance). Medication usually isn't prescribed after just one seizure, but since I had been having what were likely partial seizures, I have been started on a medication to treat epilepsy, though I have not been formally diagnosed with epilepsy. I will also be having an MRI and an EEG done, and I will also be wearing a heart monitor for a day or two. The only real bad news is that I can't drive for 6 months and I probably shouldn't exercise alone for a little while. Honestly I'm okay with that. I would hate to cause an accident and it would be awful to be by myself and have a seizure. I should also probably not do things that would cause serious injury should I have another seizure - swimming, climbing ladders, etc. And I hate to say it, but I probably won't be very comfortable on a bike for a while. Eventually I will be, but maybe not for a few weeks. With all of that said though, I don't want to live in constant fear that I will have another seizure. 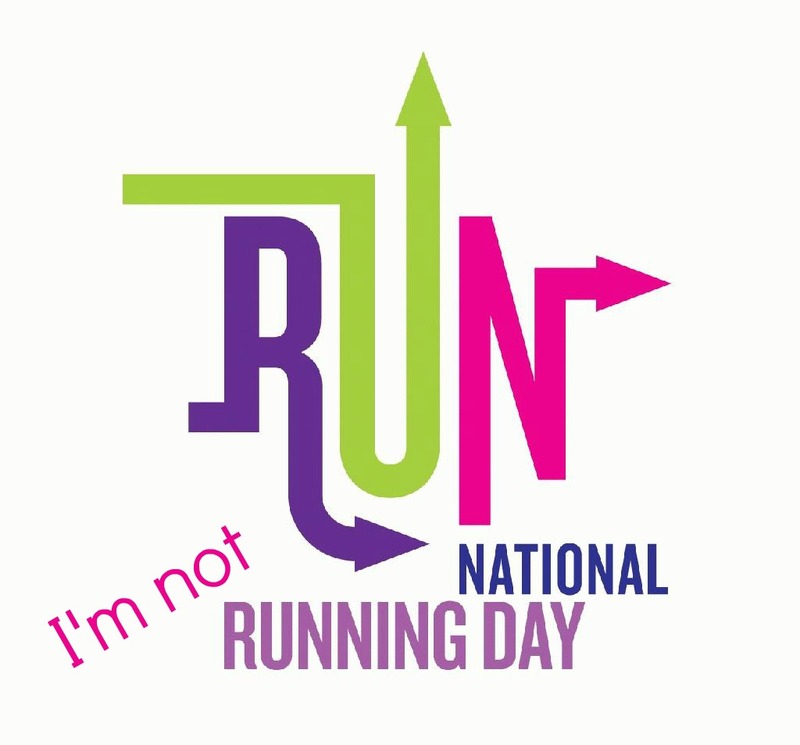 The NP didn't tell me to stop running or to stop living my life. She specifically said that she doesn't want me to become paralyzed by this. I'm on medication that is supposed to help, and I have gone 25 years without having a seizure so far, so the likelihood of having frequent seizures all of a sudden is small. Dai Greene - "A Welsh hurdler who specialises in the 400 meters hurdles event. 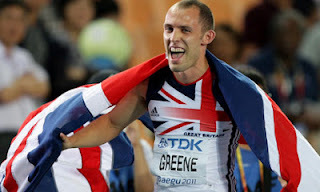 Greene is the current European, Commonwealth and World Champion." So while this is a bump in the road, I'm determined to make the most of everything and not let this get in the way too much. I really appreciate all of the supportive comments everyone left on my last post! I will definitely try to keep everyone updated as much as possible as I learn more about what's going on. I was sitting at work, not more than 15 minutes into a training class, and the next thing I know I woke up in an ambulance. I was informed that I'd had a seizure. After a long afternoon and evening sitting and waiting in the emergency room, after blood tests, urine tests, and a CT, I still don't know why I had a seizure. I don't remember much beforehand, except I think that I had a weird deja vu feeling prior to the seizure. I've actually had this feeling before and it's not your typical I've been here before feeling...more of a vivid yet fuzzy memory of something that I know didn't happen (kind of like a dream while I'm awake), accompanied by a sick/dizzy feeling. It only lasts for about 10 seconds and I can't tell you what it was about afterwards. After consulting Dr. Google, I found that this is a common occurrence with people who have epilepsy, and often the "deja vu" feeling is actually a partial seizure itself. I don't know anything for sure, and hopefully I can find out more when I go to see a neurologist on Friday. For now, though, I'll be taking it easy. Thankfully my husband is done with teaching for the year so he can be at home to supervise me and take me anywhere I need to go since I'm not allowed to drive until I'm cleared by the neurologist. Despite a pretty bad headache last night and a lingering headache this morning, I feel okay. I'm actually really sore, probably from my muscles tensing up so much. I feel like I ran a half marathon yesterday or something! Naturally I'm worried that this will happen again, and I hope I won't forever live with a constant fear of having a seizure again. Hopefully I'll be able to get some answers from the doctor on Friday and those answers will help me not to worry so much. 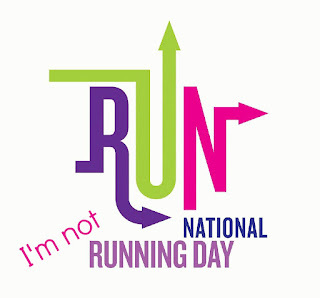 So do me a favor on this National Running Day and enjoy your run for me!! 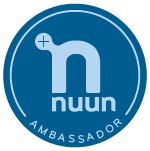 Thanks to everyone who entered my Clean Bottle Runner giveaway! There were 56 total entries including the 1 entry per $1 donated to Tour de Cure. I listed all of the entries in an Excel spreadsheet (nerd alert: I love Excel) and then used Random.org to choose the lucky winner. Suz and Allan @ Cows and Lasers and Everything in Between (I love that blog title). 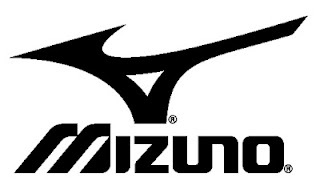 Suzanne - send me an e-mail ([email protected]) with a shipping address and I'll my husband will ship it to you ASAP! In case you missed my review of the Clean Bottle Runner, check it out HERE! 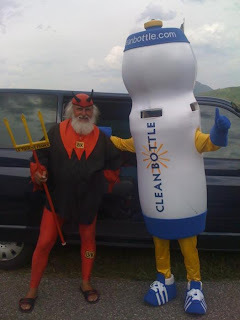 Be sure to check out the Clean Bottle website (www.cleanbottle.com) and check them out on Facebook and Twitter, too! how could you not love a company like this? Just like April, May was a fun but FAST month! I can't believe it's already June. We've had some hot days already and that can make running outside not so much fun. A lot of days I have opted for the treadmill at the gym or riding my bike because the wind keeps me cool. I don't have any races on the schedule right now so I'm not so concerned about focusing on anything specific...just running for fun and health! I also just finished my first half century ride today, but I'll post more on that later. I've also been trying to focus on spending more time in the weight room to get stronger and I have really enjoyed that. Cycling miles in May: 127 - highest month this year...yay! I didn't do any races in May. I had signed up for a trail half marathon but I wasn't feeling very good so I decided not to do it...definitely a good decision! I did, however, make the jump from the 20-24 age group to the 25-29 age group! I'm not sure when my next race will be. I know things will be busy soon because we are moving to a new house in July (very excited about that! ), so I think I will just be running and riding for fun for a while, which I'm honestly pretty excited about. Even though my running mileage is low, I feel good about the quality of my runs. I did two 10 mile runs in May which consists of half of my total monthly mileage. One 10 miler was kind of crappy because I did it the day after I rode 30 miles, while the other 10 miler was spectacular. My other shorter runs have been pretty decent, too. 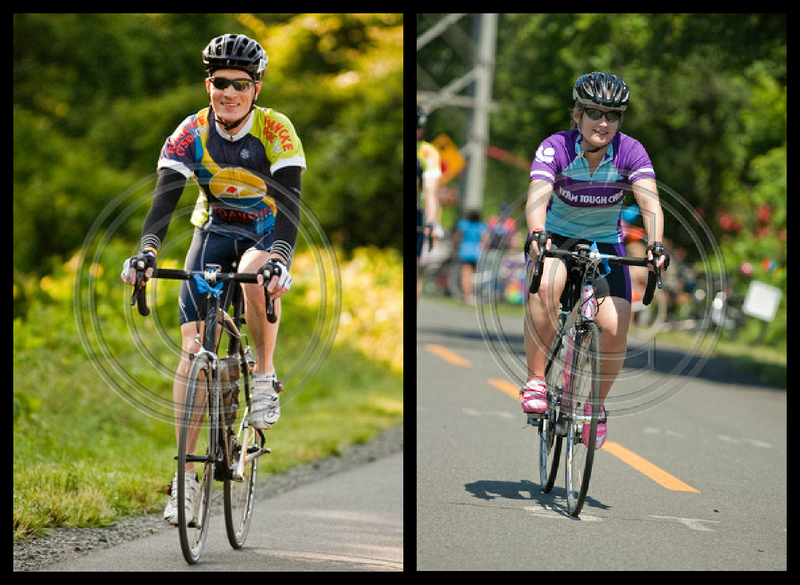 I also did two long rides in May, one 30 miler and one 40 miler. I have really enjoyed spending more time on my bike and while also getting to spend some quality time with Andrew. 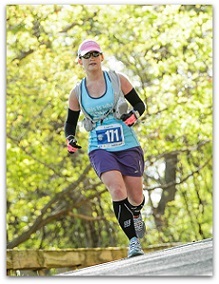 My goal for June is to do a repeat of May, but try to add in a few more running miles!